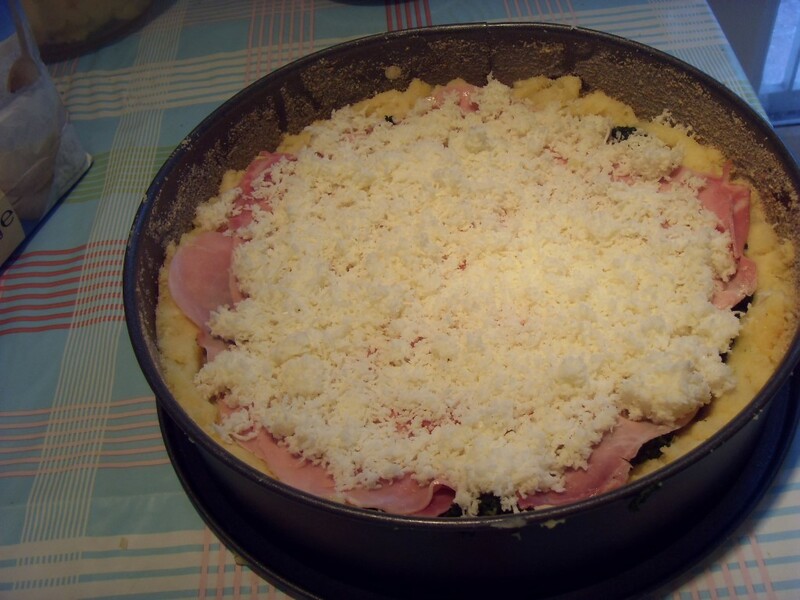 Pizza di patate e prosciutto. 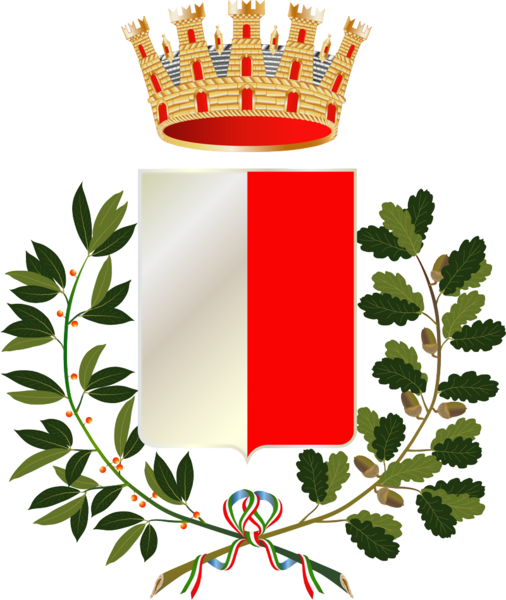 From Bari. This is a more complicated version of the traditional potato “pizza”. They call it a pizza here, but that name is quite confusing as it does not contain any bread or flour. 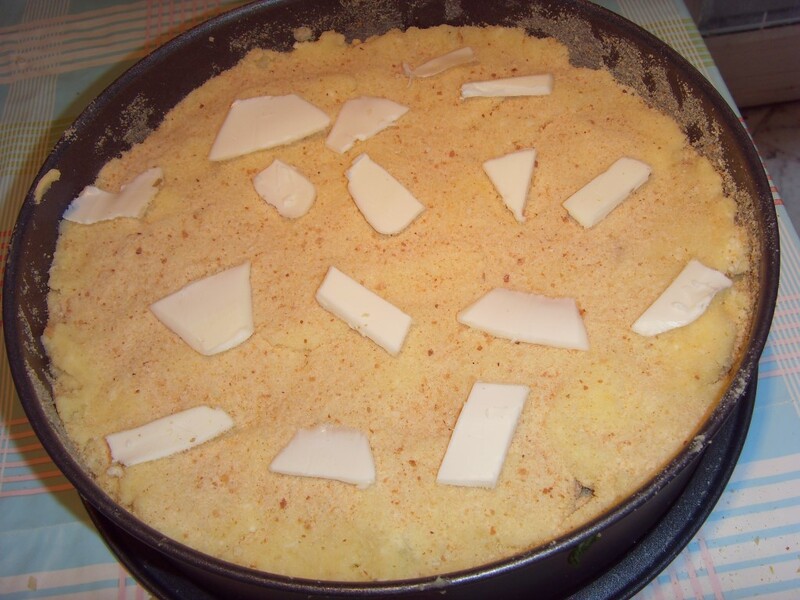 To confuse matters further it is also known as Torta di patate or Gateau di patate in various regions. 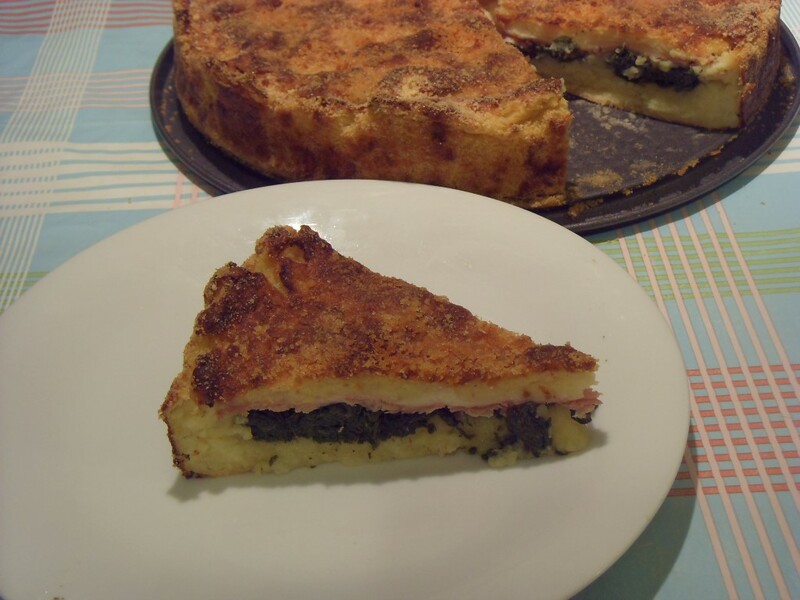 It is basically a potato pie filled with ham and spinach. 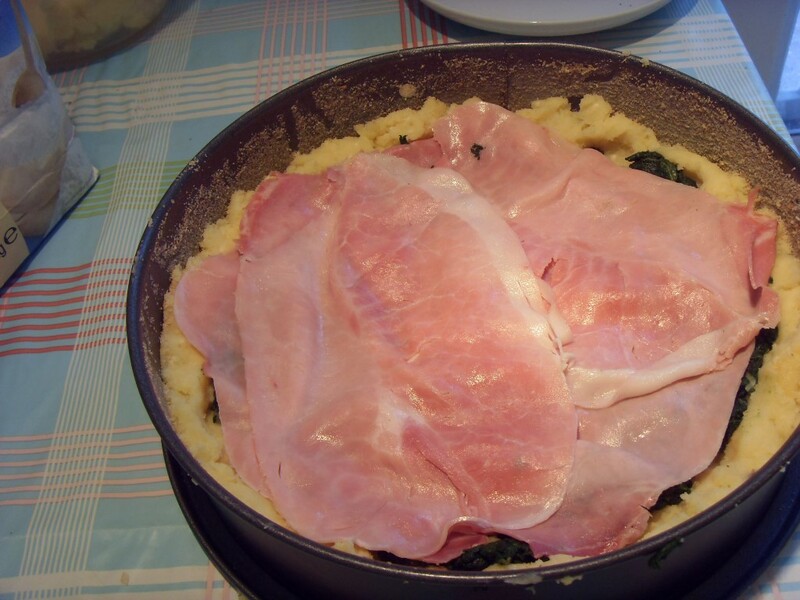 The ham can easily be left out to make it vegetarian (if you are careful about what cheese you use of course). It can be eaten warm or cold and will keep in the fridge for 3 or 4 days. It also freezes well. Serves about 8 as a main course. 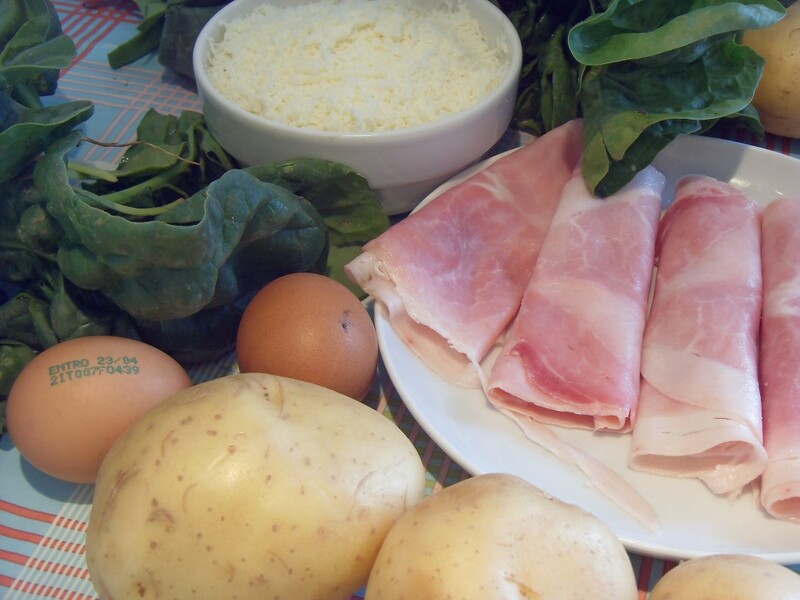 250g scamorza, provola or mozzarella, grated or thinly sliced. Cook the potatoes in their skins in lightly salted water. Drain and peel when cool enough to handle. 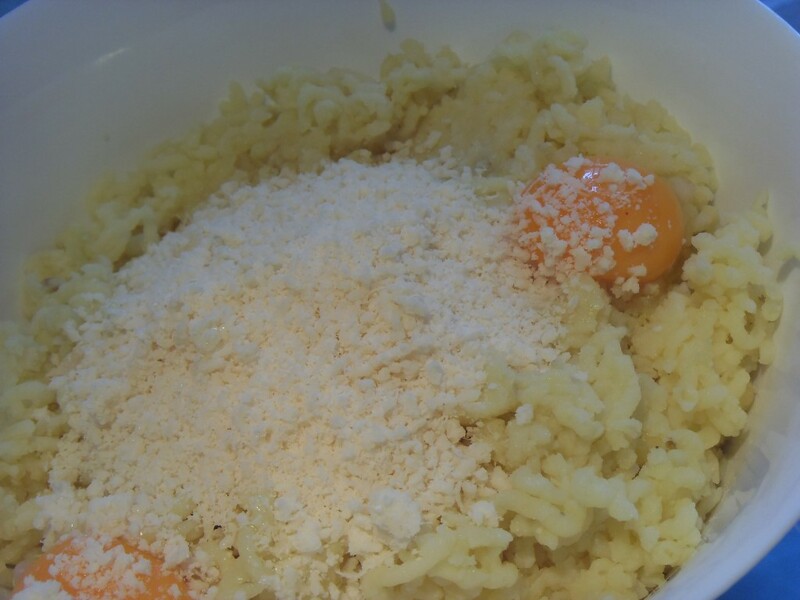 Mash the potatoes and mix with the egg yolks and parmesan. Fry the whole garlic clove for a few minutes in a little olive oil. 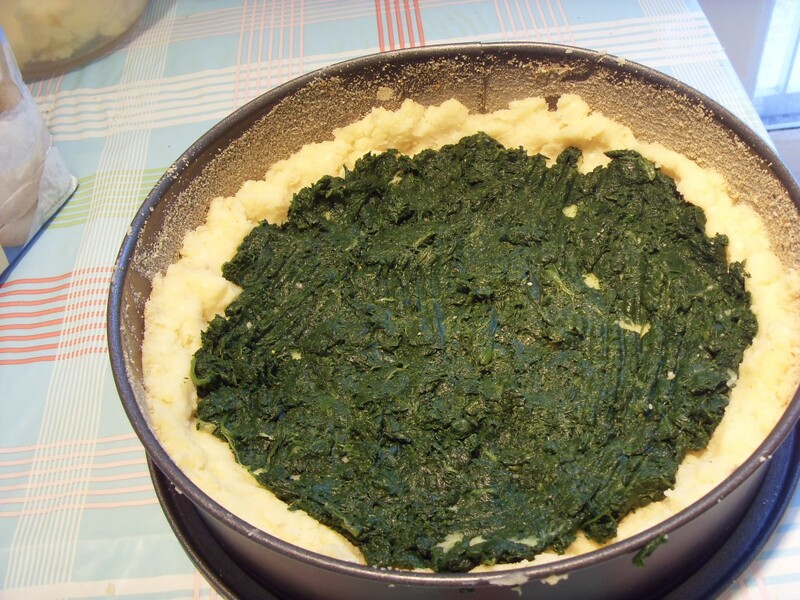 Remove and add the spinach. There should be enough water clinging to the leaves after washing. Add a little salt and couple of grates of nutmeg. 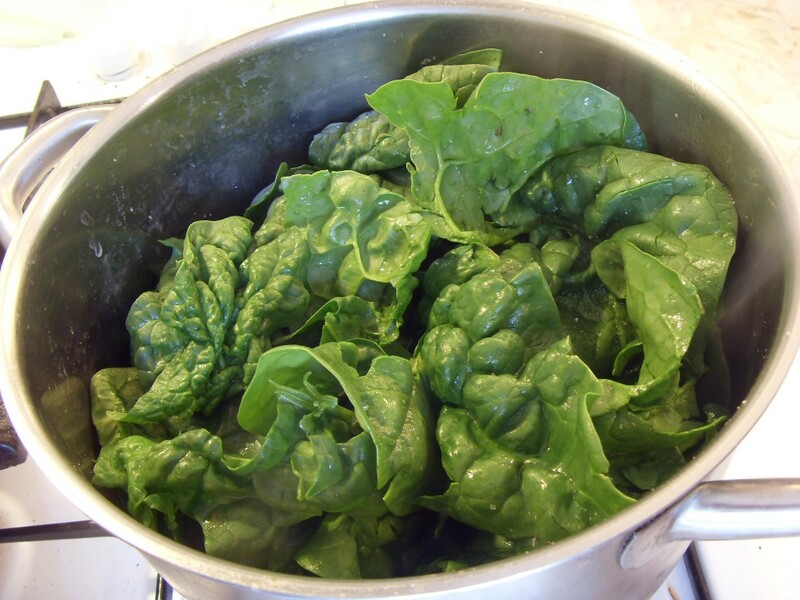 Cook over a medium heat until the spinach has completely wilted. 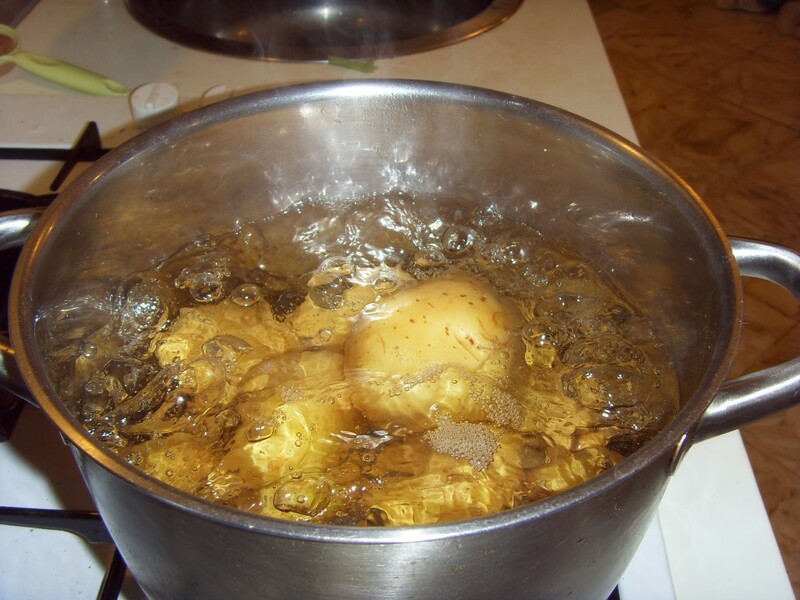 Leave to cool and squeeze out as much water as possible. Grease a 24cm cake tin and dust with bread crumbs. Use 2/3 of the potato to make the base of the pizza. Build up the sides a little to contain the filling. Add the spinach. Close the pizza with the remaining 1/3 of the potato. Cover the top with bread crumbs and dot liberally with knobs of butter. Bake in an oven preheated to 200°c for 50 minutes.